The Mammut Smart 2.0 Belay Package contains a Smart 2.0 climbing belay device with the smarter insert and a Smart HMS carabiner. Designed to work in harmony to optimise safety and smooth handling when belaying. This package is ideal for indoor wall use and sport climbing. The whole package offers greater safety in the event of misuse during a fall, making it perfect for beginners or children. 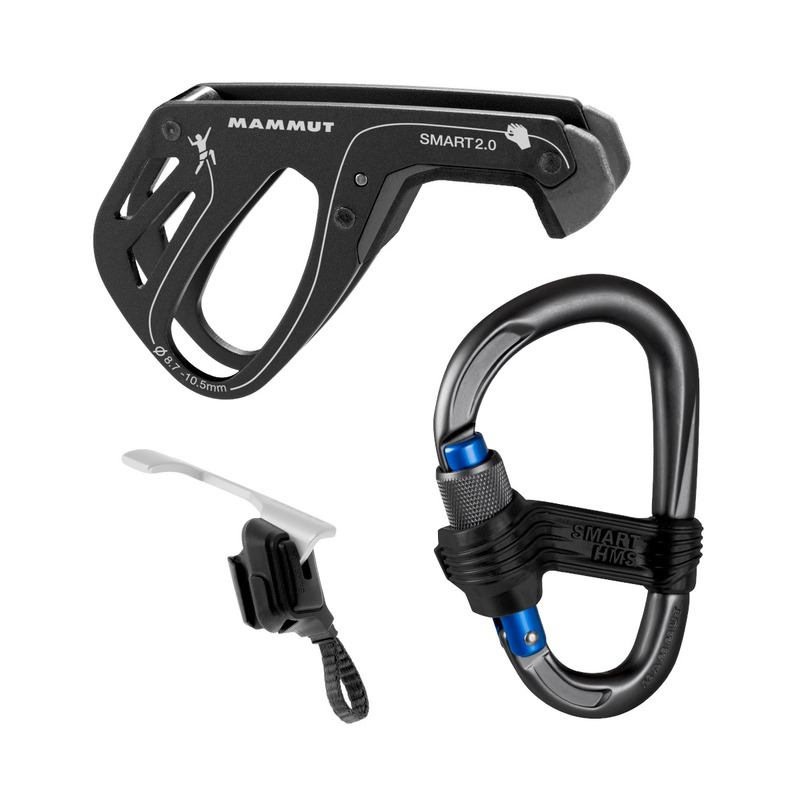 The Mammut Smart 2.0 is a very "smart" and light break-assisted belay device, which features no moving parts and is extremely ergonomic. The high performance brake insert offers significantly improved braking effectiveness and reliable blocking of the climbing rope. The Smarter is an innovative add-on for the Smart 2.0 increasing security even in case of misuse by the belayer. In the event of a fall, the smarter will block the rope even when the brake rope is incorrectly held up above the device. It does not affect the normal rope handling and can be easily removed. The Smart HMS carabiner has a safety gate to prevent accidental cross-loading and accidental opening of the screwgate. The package as a whole gives security in the knowledge the set up is so "smart" it can counteract the effects of novice errors.